It's always heart-warming to hear stories about when medical staff go the extra mile for their patients, and a Port Elizabeth nurse has done precisely that. Sister Salome Siebritz drove through the night from Port Elizabeth to Cape Town so that two patients could receive life-saving kidneys. The donor kidneys could not be flown in via air travel and they needed to be transplanted within a very short time-frame. So sister Siebritz selflessly volunteered to make the lifesaving 800km drive to the Mother City with her two patients and fellow staffers helped her get there. Everyone from the doctors to the cleaning staff and even patients donated money towards the petrol costs of the trip. 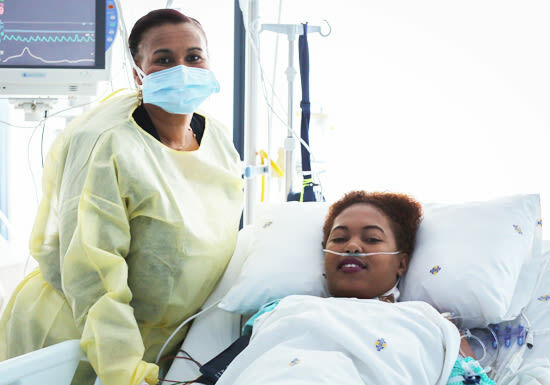 The nurse and patients drove through the night and arrived at Christiaan Barnard Memorial Hospital just 30 minutes before surgery was due to begin. Sister Siebritz has been a nurse in renal care for eight years and says it is rewarding to see patients who receive organ donations. She says it was her first time driving all the way to Cape Town behind the wheel by herself. Being busy is the life of a renal sister. Some patients are waiting for donors for as long as 10 or 11 years. Both of them were in time for surgery and they are doing so good.